Vice President Joe Biden announced Wednesday afternoon during a press conference in the White House Rose Garden that he will not be running for president of the United States in the 2016 election. Despite this news, Biden gave quite the impassioned speech about the future of the country. He said that he will "speak out clearly and forcefully" throughout the campaign to make sure that the foundation built during President Barack Obama's terms is not demolished. 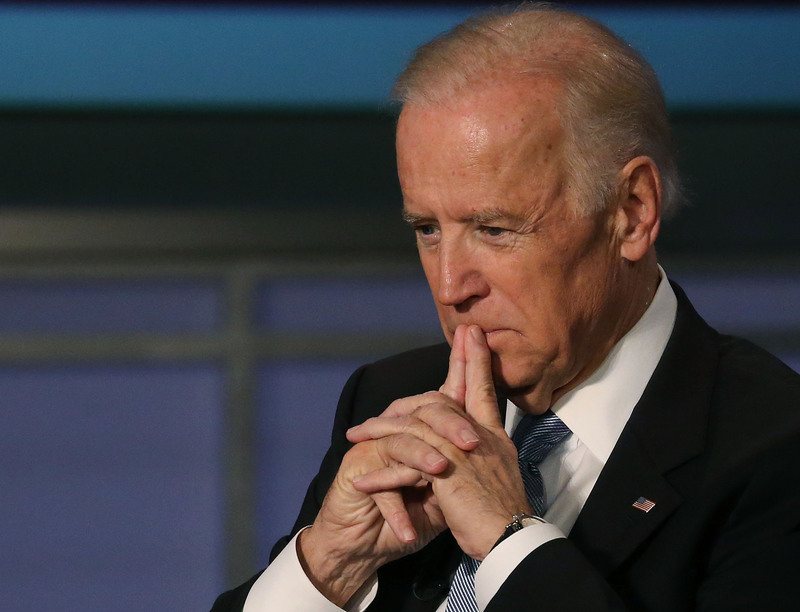 Does Biden want to be vice president again? The strength with which he spoke about problems in the U.S. doesn't make it seem like a far-fetched question. During his announcement, Biden said that he and his family have been grieving the death of his son, Beau, and "it may very well be that that process, by the time we get through it, closes the window on mounting a realistic campaign for president." He then said that he believed that window has now closed. But that doesn't mean that he will be entirely absent from the 2016 campaign. "While I will not be a candidate, I will not be silent," he stated. There are too many people — too many Americans — who don't feel like they can look their kid in the eye and say, 'Honey, it's going to be OK,' and mean it. That's something that we need to change. That's our responsibility. Evidence shows that Biden would have been competitive even if he entered later in the race. But it's understandable why he wouldn't want to undergo the mudslinging and emotional challenges that come with a campaign, given the grief that he and his family are dealing with right now. Biden didn't say specifically whether he would consider joining another candidate as a running mate. And there aren't term limits for vice presidents, according to Fact Check. But given the fact that Biden is grieving the death of his son, it definitely doesn't seem for sure that he would be interested in another four years as vice president. "I hope there will come a time, sooner rather than later, that when you think of your loved ones, it brings a smile to your lips rather than a tear to your eye," Biden said of Beau. It's clear that the vice president will continue grieving with his family ― and he knows from experience just how long that process takes. He is passionate about the 2016 election, so maybe he would consider another term as the vice president. But his family and his grief will come first.